Evergreen New Zealand motor racing veteran Ken Smith (Lola T332) has enjoyed a perfect start to his record-extending 61st season of top level motor racing, the 77-year-old qualifying quickest then winning the first two SAS Autoparts MSC NZ F5000 Tasman Cup Revival Series races of the 2018/19 season at the annual ITM SuperSprint Supercars meeting at Pukekoke Park Raceway today. Smith set a pole time – 1:01.6140 – just over 1.5 seconds quicker than category young gun Michael Collins (Leda LT27) in warm, dry track and weather conditions of Friday then won the first race of the 2018/19 SAS Autoparts MSC season this morning in conditions which couldn’t have been more different – grey overcast skies, cool temperatures and a treacherous part damp, part dry track. He then did a 1:01.109 in the second 12 lap race – held in cool, but dry track conditions – in the afternoon. Smith didn’t quite have it all his own way in the first race – a determined LeRoy Stevenson (McRae GM1) catching, passing and holding the lead until the last lap. However as he and Smith closed on Russell Greer (Lola T332) to put him a lap down Smith spotted a gap and eased down on a still patchy track on the inside. That left Stevenson on the outside behind Greer and when the trio exited the Castrol esses it was Smith back in front where he stayed till the chequered flag. Both enjoyed the advantage of wet tyres while Michael Collins and most of the other runners opted for slicks. The differences in track surface made it particularly difficult for those on slicks with several spinners, including Michael Collins on the warm up lap, and Glenn Richards (Lola T400), Russell Greer (Lola T332) and Aaron Burson (McRae GM1) in the race. Smith initially led from Michael Collins – who this year is driving car owner Alistair Hey’s ex Graham McRae/Dexter Dunlop Leda LT27 fresh from a ground-up rebuilt by Christchurch category specialists MotorSport Solutions. However, making the most of his wet tyres, LeRoy Stevenson quickly caught and passed teammate Collins and set off after Smith. He got past too - on lap 9 - and looked set to claim a debut class win – only to be caught out by Smith’s decisive passing move on the last lap and end up in second with Brett Wills (Lola T330) third, Michael Collins fourth, David Banks (Lola T332) fifth and Glenn Richards sixth. Series newcomer Kevin Ingram (Lola T332), himself a former New Zealand Formula Ford champion, came home seventh, ahead of Tony Galbraith (Lola T332), Russell Greer and Aaron Burson. Though there were spits of rain as the 14-strong field lined up on the dummy grid for the second SAS Autoparts MSC 12-lap race of the day in the afternoon, the race was run on a dry track albeit still, grey, overcast sky. Having finished second in the first race LeRoy Stevenson joined fastest qualifier and Race 1 winner Ken Smith on the front row of the grid for the rolling start and held second place until lap five when teammate Michael Collins found a way past. Stevenson remained within striking distance until he out braked himself into the hairpin a lap later and took a trip through the gravel trap before pitting to check for damage. That left Smith and Collins safe at the front with Glenn Richards circulating just ahead of Brett Willis in third with SAS Autoparts main man David Banks and fellow Lola T332 driver Tony Galbraith entertaining the large crowd as they battled mightily for fifth. Banks had the initial advantage, leading Galbraith for the first two laps. Galbraith then got a better run onto the back straight to draft past Banks and edge ahead. Banks then spent the next four laps probing for a way back past, finding it on the eighth lap then holding the position to the chequered flag. Towards the end of the race Aaron Burson was making ground on the pair, crossing the line in seventh place. There was then a gap back to series' newcomer Kevin Ingram, with another small margin to Shayne Windelburn (Lola T400) then Tony Roberts (McLaren M10B), Russell Greer, Peter Burson (McRae GM1) and Frank Karl (McLaren M10B). 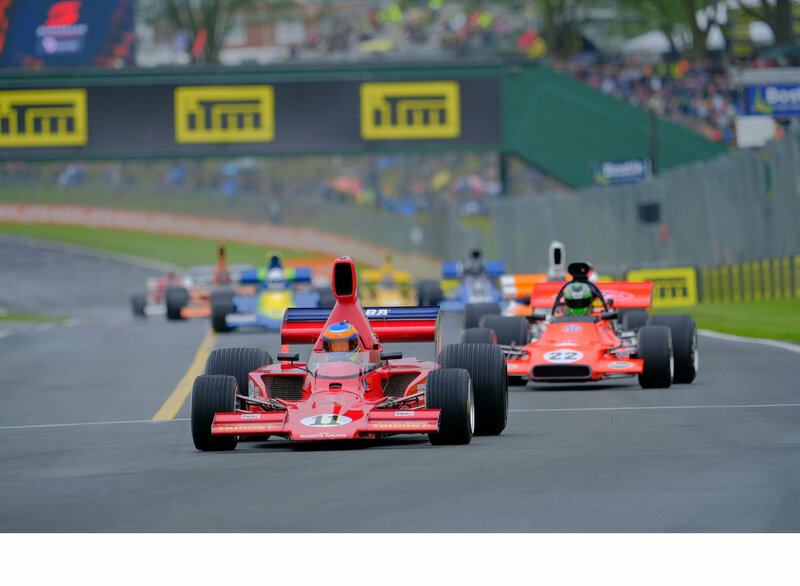 You can follow the series on Facebook at F5000 New Zealand or on the NZ F5000 Association's website www.F5000.co.nz. Third in qualifying and the second race was Glenn Richards in his T400. 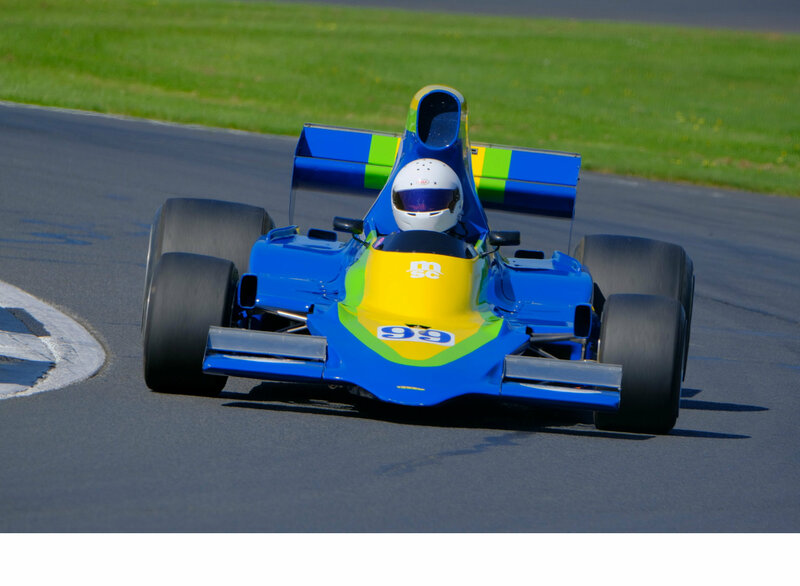 Ken Smith (T332) leads the first SAS Autoparts MSC NZ F000 Tasman Cup Revival Series race at the opening round of the 2018/19 series. Rnd 3. 25-27 Jan 2019 - HRC/TRS – Hampton Downs NZ - Short Track, Waikato, NZ. Rnd 4. 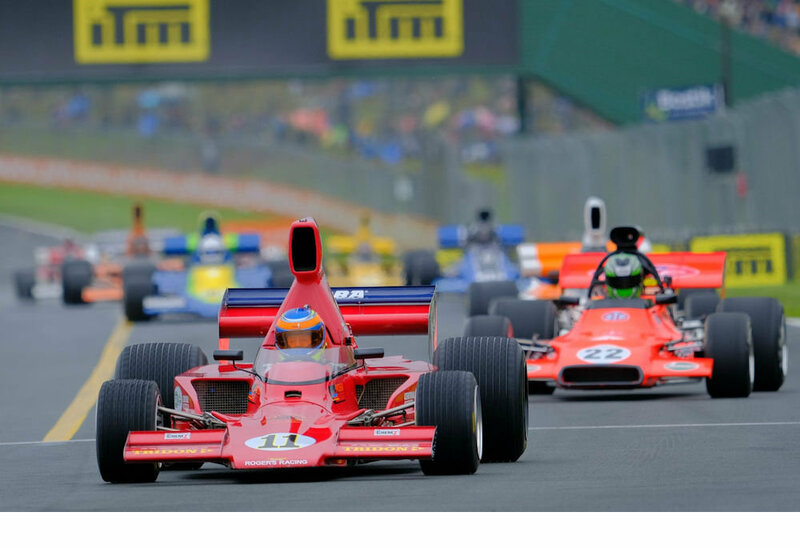 2-3 Feb 2019 - Skope Classic - Mike Pero Motorsport Park, Ruapuna, Christchurch, NZ.